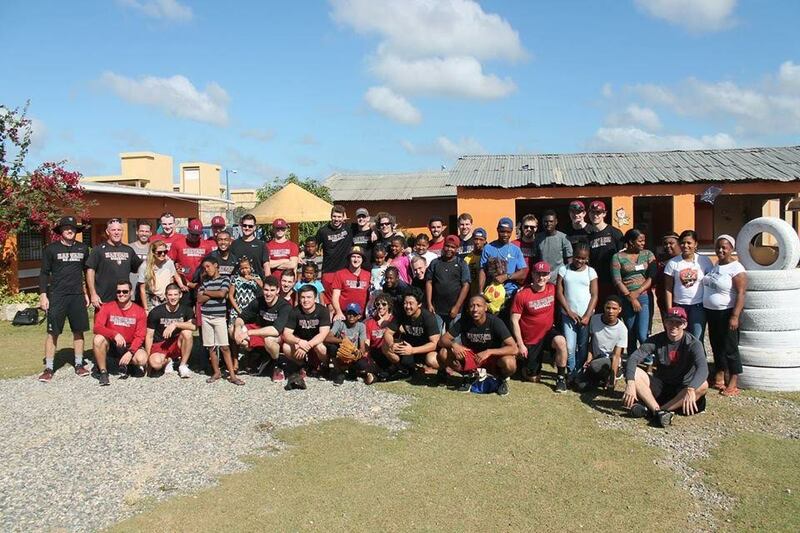 As part of community service efforts, the Harvard baseball team visited Casa de Amor orphanage. In the five days following Christmas, the Harvard baseball team left behind the mistletoe and eggnog to travel to the Dominican Republic for a trip that proved to transcend baseball. Over the course of the trip, the team participated in various community outreach projects, from painting a house in an impoverished village to visiting a local orphanage. The time spent playing with the children at the Casa de Amor orphanage was especially meaningful for the Crimson squad. Positive interactions with members of the community extended onto the baseball field as well, as Harvard matched up against three Dominican teams: the Dominican Army, the LBL Allstars, and Paulino Academy. The Crimson fell to the Dominican Army and beat the LBL Allstars and the Paulino Academy team, but what was more important was the camaraderie with the Dominican ballplayers. The matchup against the LBL Allstars stood out in particular due to the venue — a local field that proved that passion for the game is much more important than the quality of the dirt. The competition was top-notch as well, and served as good preparation for the season as the team began the early stages of training. Beyond the physical training that came with three days of baseball and one sunrise workout on the beach, the team experienced the mental and emotional training of becoming one unit. — Staff writer Jackson Delgado can be reached at jackson.delgado@thecrimson.com.